This work results from the health context in the productive world, related to the seated activity and the excessive use of everyday technological objects, that minimize day-to-day gestures, establishing predatory relationships in motor organization and body structure, which impose radical changes on human nature and health implications as a whole. 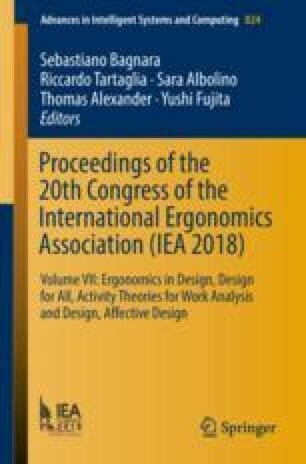 Following this line, this work brings a problematization: theoretical comparison on the understanding of what comfort means in the visions of corporal therapies X of ergonomics – an important parameter in the process of thinking design and in the definition of product form - a conceptual misconception makes the success of an entire work impossible. The hypothesis that feeds this work is that a closer look at the mechanical aspect of the dynamics of the psychomotor organization of the human structure, as a whole, can influence the projective reasoning of professionals who evaluate, validate, conceive and develop products. For that, I developed in my PhD research Design for Health, biomimetic models of the human body, built on biotensegrity technology, constructive factors of structure and organization of complex systems and integrated movement, which support the understanding of the human motor system, through muscular chains of movement. It is able to leverage innovative processes by contributing significantly to the transformation of the state of knowledge by establishing new mental models of cognition, which encourage innovation processes when applied in other areas of knowledge, directly influencing thinking design, ergonomics, but also in the areas of biomedical, physiotherapeutic practices, and in high performance sports.